With continued weakness in the oil and gas markets, we are focusing on oil prices to drive activity. Layoffs are starting to shake up the oil and gas industry and we are likely in the beginning stages. As the price of oil remains low, we will see continued weakness in the oil and gas market with lower demand for mineral rights. Right now the mineral buyers are in a better position than mineral owners since there is less competition among buyers. 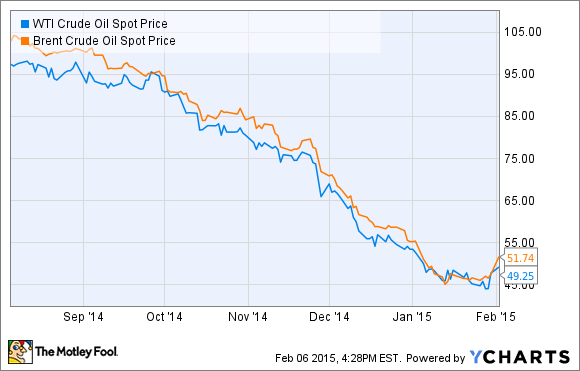 Overall, the outlook for the oil and gas industry in the near term is negative. The chart below paints a compelling story for the state of the oil and gas industry today. As price have continued lower, reduced capital budgets have followed suit and we are now seeing activity slow down across the board. Oil and gas operators are slowing down their drilling activity which has led to a decrease in leasing activity as well. For mineral owners, this means less opportunity to get a lease and this will also likely lead to reduced lease bonuses. Areas that were previously considered average are now being passed over. Operators will begin to focus all their efforts on the highest value areas where they are likely to make the most return on their investment. Even with the recent uptick in prices, operators are staying cautious and are avoiding making any aggressive moves for more acreage positions. If you are considering selling mineral rights, you may have to wait a little longer to ensure you get the best possible pricing. Due to the reduced oil prices, we are seeing an across the board slow down from mineral rights buyers. Some individual buyers are on hold while others are a lot more cautious before making a purchase. What this means for mineral owners is that you need to allow for extra time when marketing mineral rights for sale. Doing so will allow all buyers in the market to carefully evaluate your property and make their best possible offers. Mineral Rights Buyers are aware that prices will eventually rise and can still assign a fair long term value to your property. As you consider selling mineral rights, our recommendation is to not rush and wait for the right offer to come in. As always, our recommendation is to list at US Mineral Exchange where you have the best chance of getting fair market value. If you are considering whether to sell oil and gas royalties, you need to be cautious about selling too quickly. Fortunately, we have still been seeing strong demand across the board for oil and gas royalties. As the price of oil has gone lower, it has led to reduced royalty checks for mineral rights. This means some buyers are adjusting their calculations on what they can pay for oil royalties. The value of oil and gas royalties will still remain high though and many buyers are getting more aggressive as they try and pick up additional royalties for their portfolio. Once again, if you decide to sell royalties make sure that you take your time and allow multiple offers to come in before selling. We expect the overall oil and gas market to remain weak through at least the first half of 2015. Depending on how fast production takes to slow down due to reduced activity, we may see weakness through all of 2015. At some point near the end of 2015 or beginning of 2016, we expect production to start moving down due to the high decline rate associated with Shale Drilling. This should stabilize prices are a higher level once production starts to dip. Our current estimate is in the $75-$80/barrel range.